The wedding ceremony takes place either by waterfalls or upstairs the hotel in their huge terrace, surrounded by swimming pools. 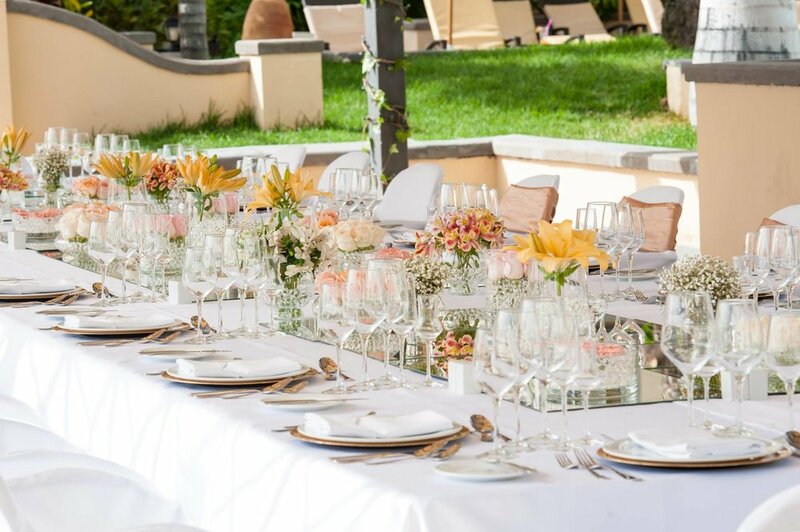 Tenerife wedding parties up to 25 people can have the dinner in the beautiful restaurant inside the hotel, while parties over 25 have their dinner set up outside the hotel, surrounded by beautifully lifted up swimming pools (as in the pictures). 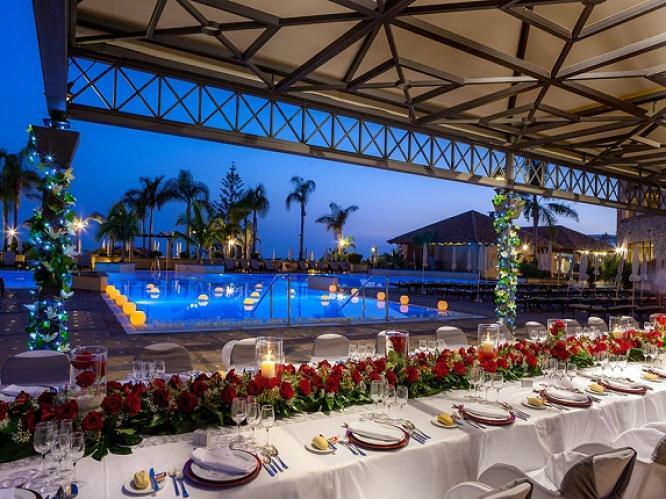 This well-known Tenerife wedding venue also has a super after-party area, where your wedding guests can keep dancing until the early hours. Located in Del Duque area, South Tenerife. Buffet menus available from the minimum of 60 people from 67€per person. You will receive: the design and printing of the menu cards; the printing of the seating plan; table centrepieces; white tablecloths; chairs with white covers and sashes of gold, pink, fuchsia pink pattern, turquoise or red. 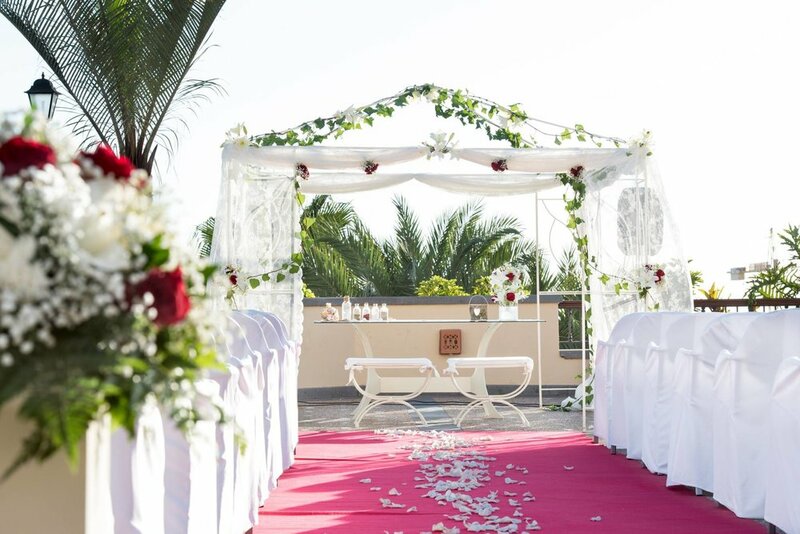 Bonuses for Tenerife weddings over 25 people - a complimentary night and breakfast in the hotel.